Have a mattress made to the length you require. The first price you see is for a standard 6ft3 length and then you select the length you require from the drop down box and it shows you the additional cost. 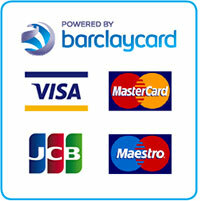 We use leading manufacturers to make the mattresses to your specifications. You can increase the length of a mattress by 3 inches at a time, this is due to the size of the springs. 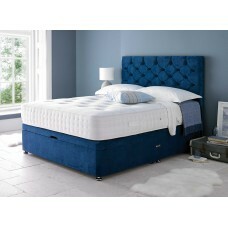 Some of these Mattresses are in stock and others made to order, but delivery is still only approximately 7 working days. We can offer Orthopedic, Pocket Sprung, Gel and many other types of fillings. If you require any help deciding on which bed to go for, please call a member of our sales team on 01793 239496 Monday - Friday 9am - 9pm on Saturday & Sunday 9am - 6pm. 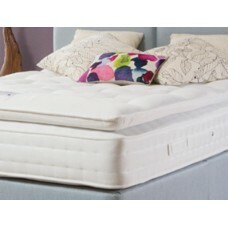 We use many manufacturers including Airsprung, Breasley, Deluxe Beds, Dormeo, Kayflex,Slumberdream and many more. 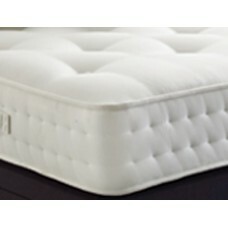 Hand Tufted Mattress with a 12.5g spring unit.Key Features:An Orthopaedic bonnell open .. The Moreno Pocket spring mattress from Hush a Bye offers a slightly firmer feel tha.. The Pashmina is a top quality pocket mattress that has been lovingly made with natural fil.. The Moonraker Bamboo 1000 features a 1000 spring count pocket system with layer upon layer .. 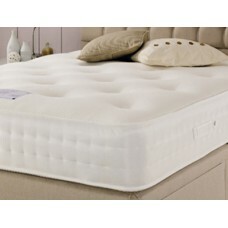 The Moonraker Monaco 1000 is a soft feel pocket sprung mattress. The mattress features a 10..
Pillow top mattresses are not for everyone , However they can be very comfortable an..